Charles Marion Gillock, age 78, of Mantooth Drive, Morehead, passed away from this life on Monday, February 4, 2019, at the U. K. Healthcare Center in Lexington surrounded by his family after a brief illness. Born March 31, 1940, in Columbia, Kentucky, he was a son of the late Lloyd Marion Gillock and Stella Elizabeth Streeval Gillock. In addition to his parents, he was preceded in death by one brother, James Leon Gillock. Charles is survived by one sister, Beatrice Cochran and husband Alven, of Greenwood, Indiana; his D & S Community Services family; and many friends. Charles was a one of a kind guy, who always knew how to work a crowd! He had this charming personality that was like a magnet that drew people to him. He had an affectionate smile that was quite contagious. He could tell a joke, enjoyed a good cup of coffee and his smokes. He was bit of a flirt and made the girls hearts melt when he laughed. He was always up for a good shot of whiskey, soup beans and corn bread, shredding paper and picking on his friends. He would call you out if you were lazy and remind you that he could work circles around you with his “good arm”. Charles was a champion! He was proud of his fight in life and told his story to anyone who would listen. Charles could turn on the tears, turn a story, and always made you end up feeling pretty good about the life around you. He would steal a kiss if you were lucky and good smack on the tail if he was lucky. He was demanding, required attention, and was quick to say I love you and mean it. In short, he was irreplaceable and will be missed by the many hearts who loved him so very dearly. 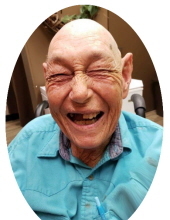 A celebration of life will be conducted 2 p.m. Thursday, February 7, 2019, at Northcutt & Son Home for Funerals Memorial Chapel with Pastor Andy Lands officiating. Burial will follow in Brown Cemetery. Pallbearers: Jerry Beamon, DJ Slone, Dustin Neace, Marshall Stevens, David Valdepena, and James Welch. Honorary pallbearers: Dustin Caudill, Grover Yazell, Shannon Nichols, David Henderson, James Cobb, Melissa Blackburn, Laura Ison, Kim Smith, The Wells Lane Team, The McCullough Court Team, and his D & S Community Services Team. Visitation will be from 12 noon to 2 p.m. Thursday, February 7, 2019, at Northcutt & Son Home for Funerals in Morehead. To send flowers or a remembrance gift to the family of Charles Marion Gillock, please visit our Tribute Store. "Email Address" would like to share the life celebration of Charles Marion Gillock. Click on the "link" to go to share a favorite memory or leave a condolence message for the family.